Locals 179 and 673 win wage theft lawsuit filed in 2015 against FIRST STUDENT!! 400 members will be receiving checks! LOCAL 673 WINS TRI-PARTITE ARBITRATION!! Acuity Brands Lighting, Inc. , Juno Lighting, LLC. 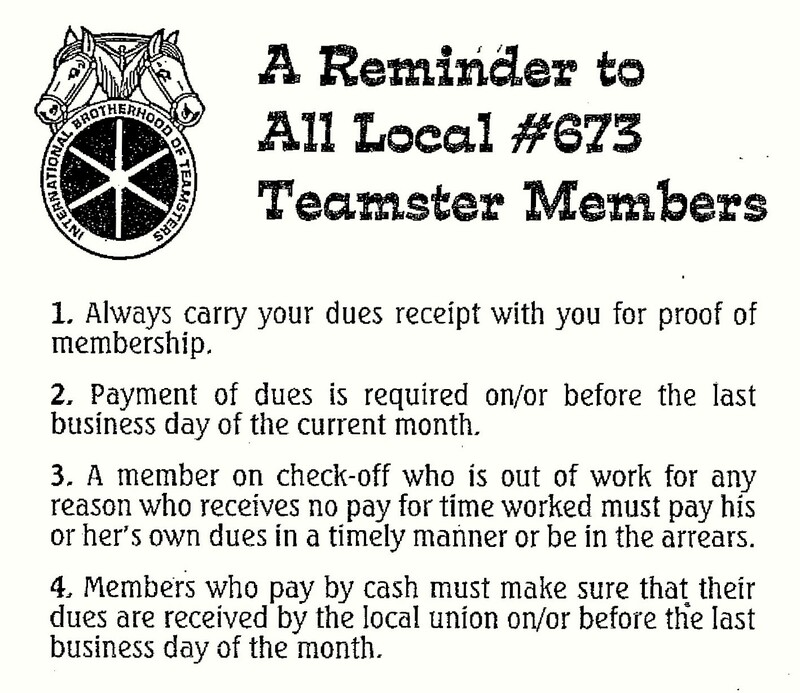 Teamsters Local 673 General Teamsters, Chauffers, Sales, Drivers & Helpers, I.B.T. Chicago and Midwest Regional Joint Board, Workers United, S.E.I.U. An arbitration was held on September 4th, 2018 in Chicago, Illinois. At hand was who would represent the workers at the MWDC Plant that was to relocate from Hanover Park to DesPlaines, Illinois. With the closing of the facility in Hanover Park, all of 673's current members were to relocate to the DesPlaines facility. With an addition of approximately 60 new employees by February 2019 to operate the new MWDC facility. On October 10th, 2018 Teamsters Local 673 was awarded to preform the distribution and warehouse work which will be performed at the employers DesPlaines, Illinois facility! 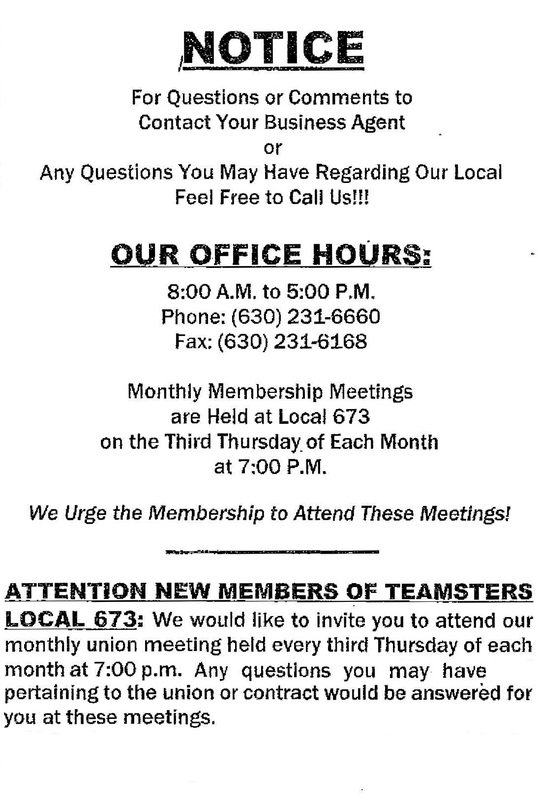 Local 673's Executive Board and Agents are dedicated to growing your Local and would like to welcome the new Members coming in from the previous Union. 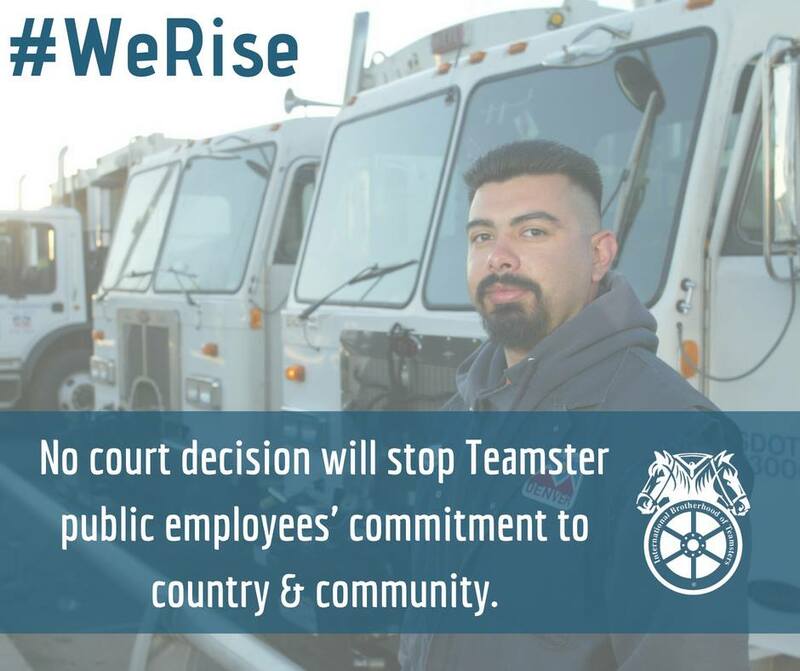 No court decision can stop Teamster public employees’ commitment to country and community. In the wake of last week's Janus decision, we will remain unified to protect the progress we have achieved for our members and their families! The Suburban Teamster Pension Fund that Local 673 belongs to has improved greatly, but unfortunatly for other Locals across the country this is not the case. 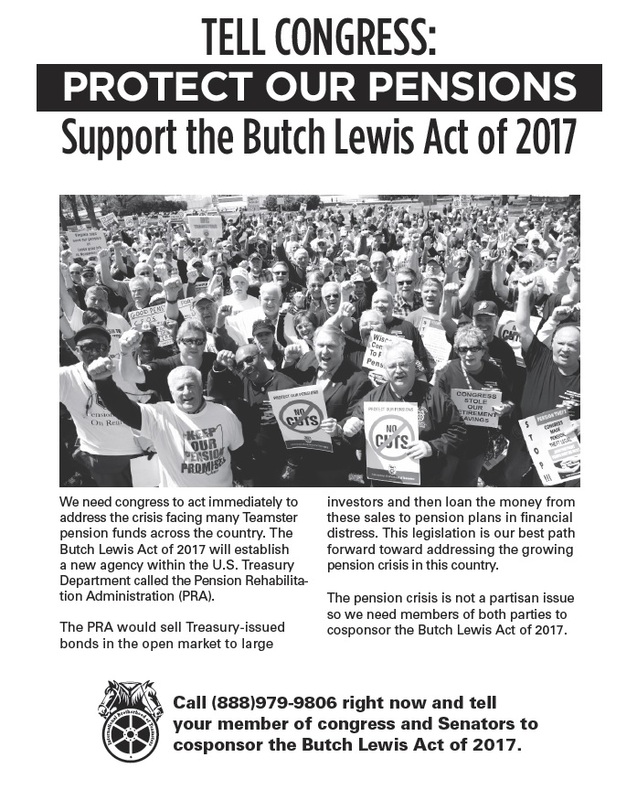 The Butch Lewis Act had been introduced to help protect Pension Plans. Lets do our part to help our fellow Teamsters by calling your Congressman and Senators and asking them to Co-Sponsor this bill!! For more details, click the picture below. With anti-worker lawmakers in DC pushing national right-to-work (for less) legislation, the stakes are higher than ever for the labor movement and working families. We need all Teamsters and working people to join the fight against the renewed assault on collective bargaining and workers’ rights that is taking place on a national scale. Tell your members of Congress right now that they must oppose H.R. 785 and any other attacks on our rights! 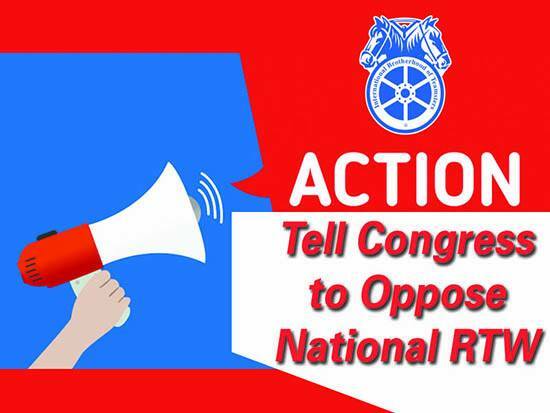 Click banner below to send your Representative a form letter OPPOSING National Right to Work legislation! Teamsters General President Jim Hoffa and General Secretary-Treasurer Ken Hall today announced that strike benefit increases approved by delegates to the 29th International Convention became effective on July 1, 2016. 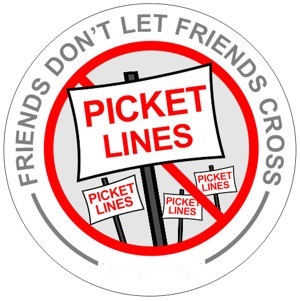 Under the new constitutional provisions, which were unanimously approved by delegates on June 30, 2016, the changes raise strike benefits, increase minimum benefits and allow for benefits to begin earlier than in the past.